If for any reason you are unhappy with your new prescription glasses, please do not hesitate to contact us and we will be happy to help. 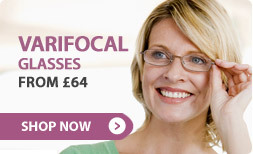 We have opticians on-hand to offer expert advice and answer and queries you may have. Visit our Help page for more details. We take payment issues very seriously and are committed to ensuring that your payments are safe and secure. We test our payment system on a daily basis to keep you safe from identity theft, credit card scams and other online fraud. Direct Sight is a leading online retailer of prescription and non prescription eyewear with one of the largest collections of glasses and sunglasses available in the UK. 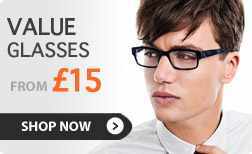 We have an extensive range of online glasses for every occasion. Whether it's this season's statement piece, a functional 9 to 5 frame for the office, reading glasses or specialist sports eyewear, we have a wealth of choice available. We are proud to offer high quality eyewear from top designers and are able to bring you Alexander McQueen glasses, Armani glasses, D&G glasses, Ray Ban glasses, Oakley glasses, Prada and many more. But it doesn't stop there. We have also selected our own range, DS Collection, by carefully studying pieces that we believe will provide customers with practical, affordable and fashionable lenses which start from only £19 including standard prescription lenses. And that's why we're one of the most affordable places to buy glasses online. Our skilled and experienced opticians are always on-hand to help guide you through the different lens options available, ensuring you always end up with the correct prescription when buying our online prescription glasses. We'll also help guide you through the types of frames we offer, helping you find your perfect pair of prescription glasses. We provide varifocal lenses, bifocal lenses, Transitions lenses, tinted lenses, high index lenses and a choice of coatings for your glasses. Our team is made up of fully qualified opticians and ophthalmic specialists and we're so confident of our service, all our glasses and sunglasses come with a Quality Guarantee and a Prescription Promise; making sure you always get the correct glasses direct to you. We also offer a reglazing service in the case of a renewed prescription or when new lenses are needed in your glasses. This service starts at £10 - download our reglaze glasses form. Buying cheap glasses doesn't mean you have to compromise on quality. Our spectacles are of the same quality of any high street opticians; the reason we can offer you cheap glasses online is that we are not bound by the same high overheads that high street opticians are. So you receive great quality, fashionable and cheap glasses online. We also understand how important security and peace of mind are when it comes to online shopping, which is why we provide a Secure Payment Promise; committing to provide you with 100% secure payments. We test our payment systems every 24 hours, ensuring our customers are safe from fraud and identity theft. Look out for our special offers and competitions across the site for even more savings. 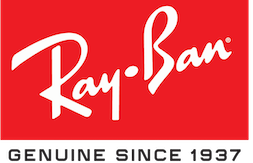 With frames from £19, it's no wonder we've become one of the leading suppliers of glasses and sunglasses online. If you'd like to get in touch visit our contact page.